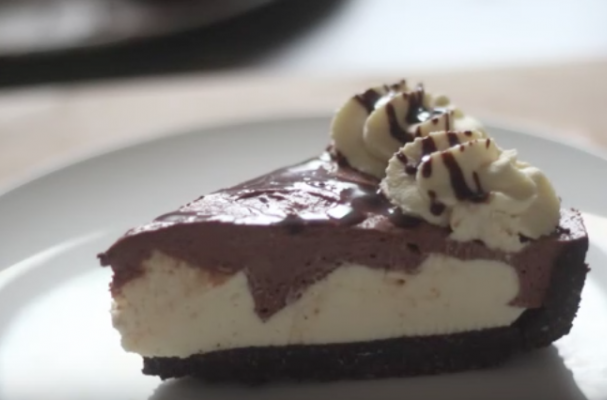 Hershey cream pie is a nostalgic dessert. The bright yellow packaging would stand out like a gem against the white freezer walls. I love to re-create this childhood treat, especially in the summer when I avoid using the oven at all costs. A cookie crust is piled high with a chocolate cream cheese filling and whipped cream. A chocolate drizzle adds an extra special finishing touch. For full recipe instructions, watch the video below.